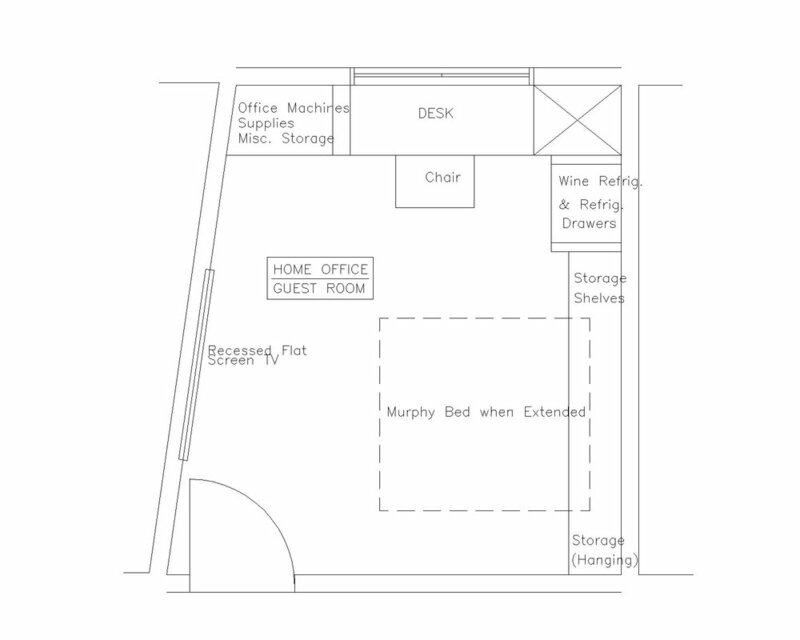 This home office serves two masters: the office and the guest room. Small in space, we worked in a full cabinet to hold office supplies and machines, a desk with a view, a refrigerator and wine storage (right side) and a pull-down bed and closet. The wall mount TV is easy to view.